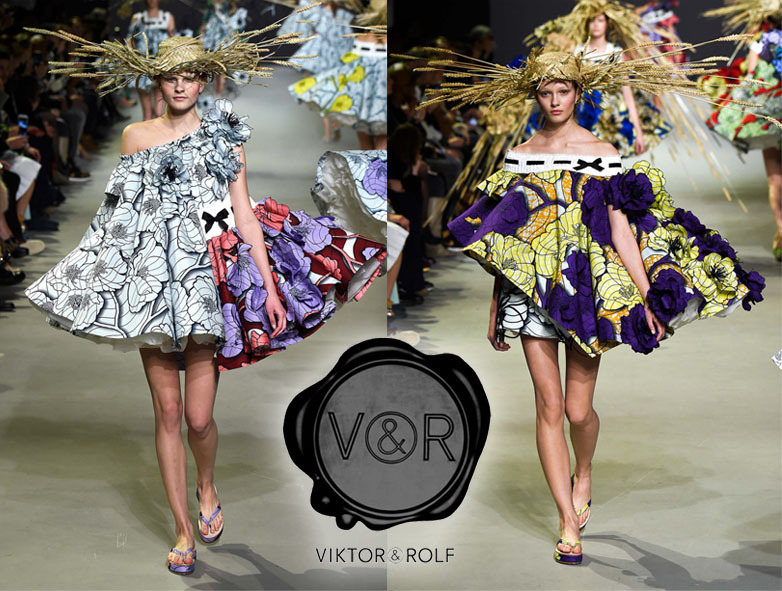 Runway Rundown: Viktor & Rolf’s Spring 2015 Couture Collection! During the latest Spring 2015 Couture shows, Viktor & Rolf made a splash with their amplified babydoll dresses with dramatic straw hats. The duo played with dimensions against gorgeous colorblocked floral prints built over silk organza petticoats, unexpected ruffles, & avant-garde architecture. Of course, these looks aren’t exactly red carpet-ready; however, there’s something to be said about artistry in fashion, especially when there’s inspiration to be sought from mixing prints & experiments in volume. Fans of the designers include the always flawless Diane Kruger, & actresses Jessica Alba & Jessica Chastain. What do you think about Viktor & Rolf’s daring fashion statement? Do you ever play with volume in your day-to-day wardrobe? For more posts from Runway Rundown‘s Spring 2015 Couture Week, check out galleries featuring Elie Saab, Atelier Versace, Schiaparelli, & Christian Dior. Happy Styling! This entry was posted in Runway Rundown, Style Darling Daily, Watch This Style and tagged Diane Kruger, fashin icon, fashion, Jessica Alba, Jessica Chastain, runway, runway rundown, Spring 2015 Couture, style, Style Darling Daily, style for days, Viktor & Rolf, Watch This Style. Bookmark the permalink. ← Basics for a Bargain: The Fringe Trend, Inspired by Scarlett Johansson, Heidi Klum, Jamie Chung & More (Dedicated to Marlene)!